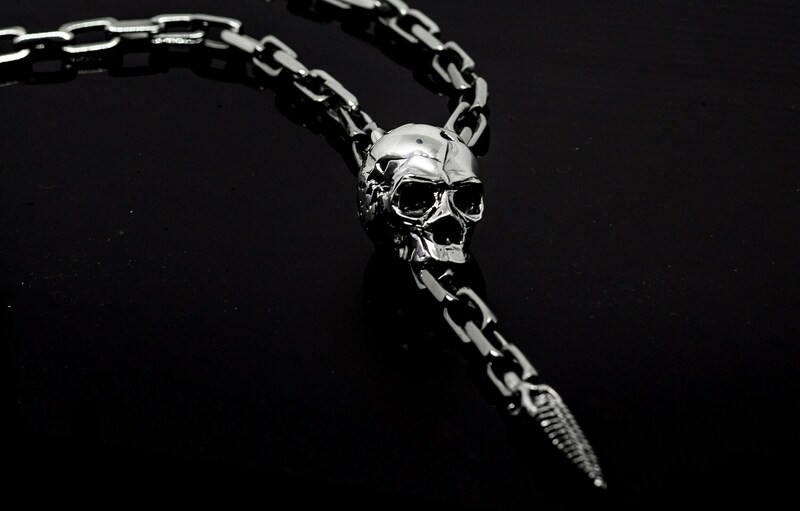 This piece was designed to both intimidate and fascinate onlookers. 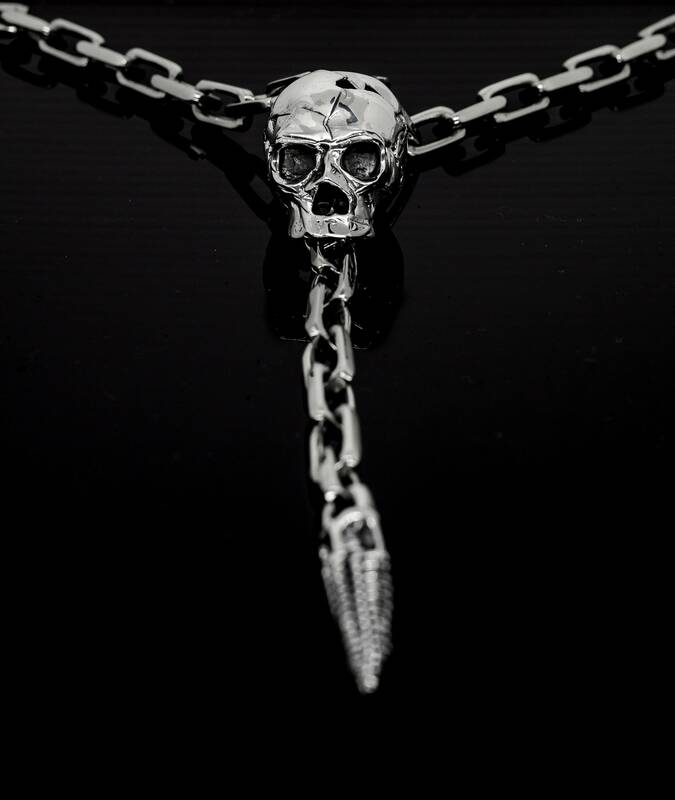 After completing our newest skull ring, we decided that the only way to go, was to go big. 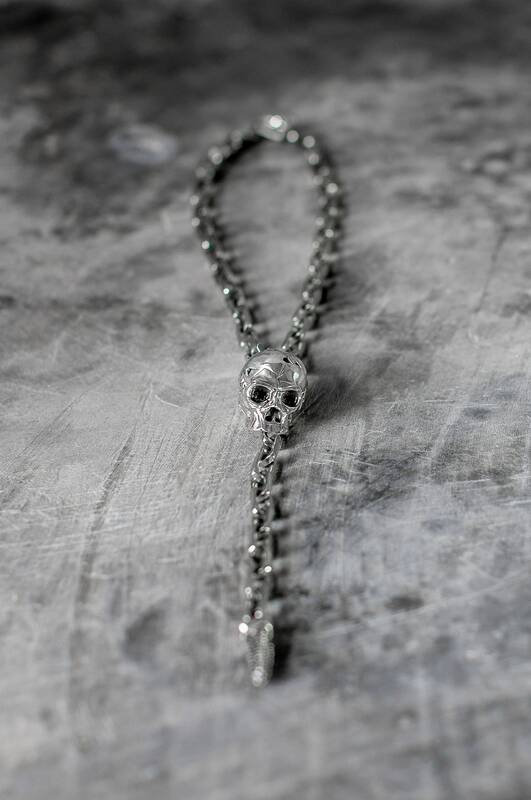 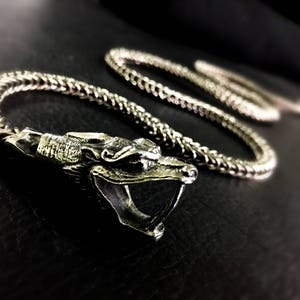 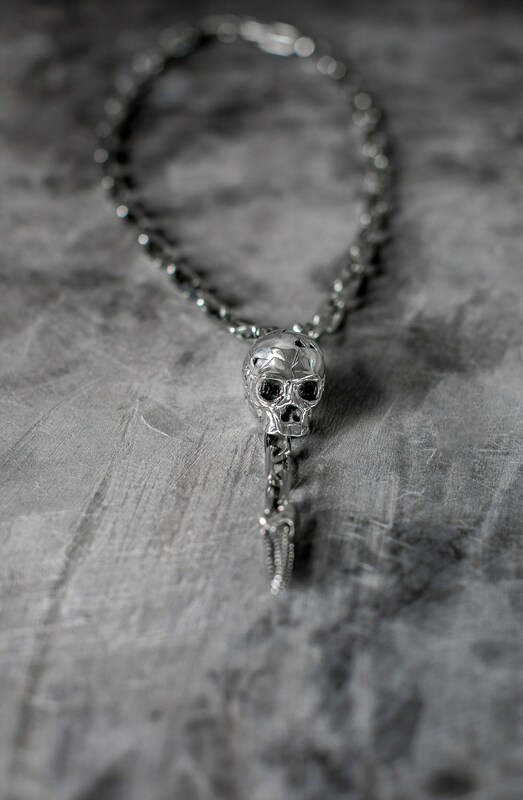 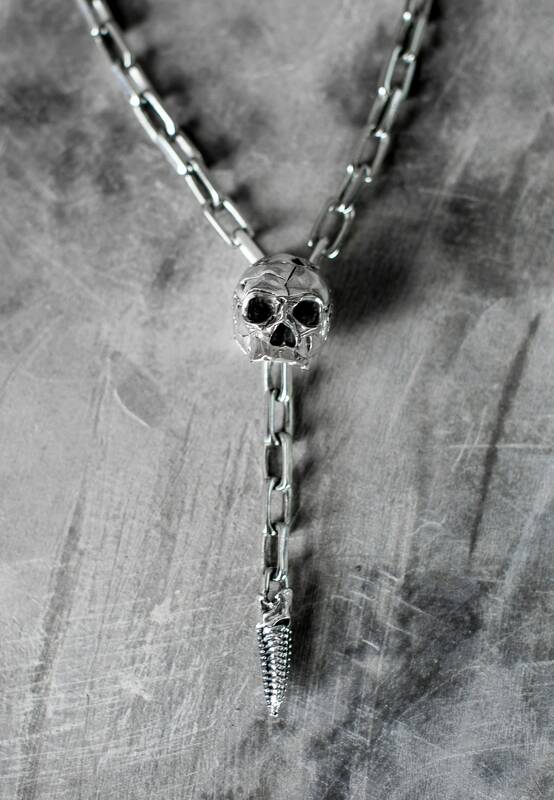 Using all solid silver, we crafted this lariat piece to not only showcase the textured skull, but to utilize the intergalactic alien tail as a thread through closure. 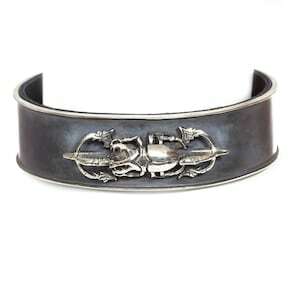 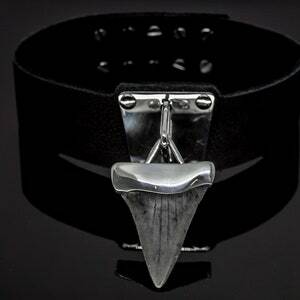 You can wear this in a multitude of ways, all the while caressed by the weight of 925 silver.